Visit with the wildlife from a cozy cabin in the woods. Enjoy the cool breeze from the patio of a full-service resort. Put your feet up on the deck of a luxury vacation rental. The choice is yours. 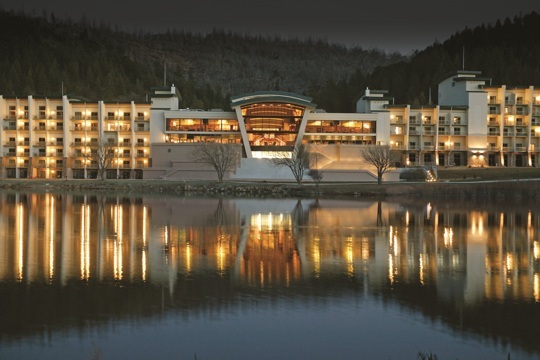 From romantic hideaways to family-friendly resorts and vacation houses, there's something for every travel style and budget in Ruidoso. As members of the military, you'll enjoy exclusive discounts and offers from the participating properties listed below. -ACTIVE or RETIRED military ID required. -Based on availability. -Please call to confirm discount availability. -Advance reservation required. OFFER: 20% discount, two night minimum excluding major holidays and major events. -ACTIVE military ID required. -Based on availability. -Please call to confirm discount availability. -Advance reservation required. -ACTIVE military ID required. -10% for veterans. OFFER: 20% standard discount applied to lodging, just mention this military discount website. Excluding Peak Season, Holidays and Special Event Weekends. 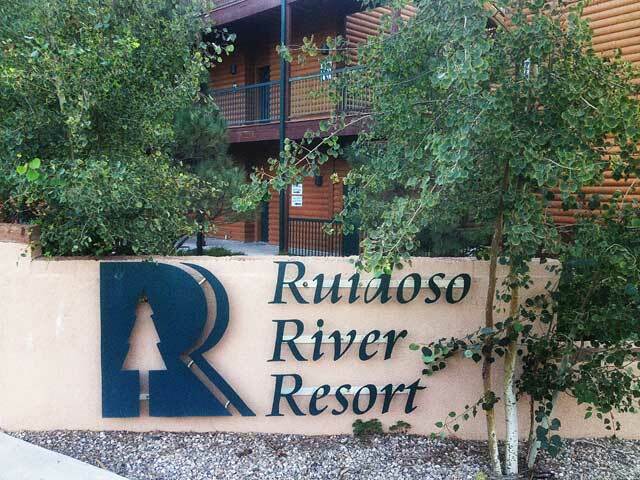 50% off or buy one night get 2nd night FREE for R & R in Ruidoso weekend in November. -ACTIVE or RETIRED military ID required. -Based on availability. -Please call to confirm discount availability. OFFER: 25% off regular rate for two or three bedroom condos with full kitchen & fireplace. 2 night minimum stay. Not valid for holiday weekends or the Christmas Holiday season. -Active military ID required. -Please call to confirm discount availability. - Valid year-round for all military personnel. Call to confirm availability. OFFER: 20% discount, two night minimum, or 3rd night FREE (33% discount). Not available dates December 23 - January 6. OFFER: 10% discount on rental. -ACTIVE or RETIRED military ID required. -Please call to confirm discount availability. OFFER: 15% discount applied to lodging. -ACTIVE or RETIRED military ID required. -Based on availability. Blackout dates may apply. Please call to confirm discount availability. -No ID required (we trust that they qualify). -Include all VETERANS, no ID required (we trust that they qualify). -Advance reservation required. OFFER: 12% off all. MUST be booked directly with the hotel (not through the website). -ACTIVE or RETIRED military ID required. -Based on availability. -PHONE reservations only directly with hotel. -Call the hotel directly to get the rate. -ACTIVE or RETIRED military ID required. -Based on availability. -Please call to confirm discount availability. -Advance reservation required. -Other conditions may apply. -ACTIVE or RETIRED military ID required. -Based on availability. OFFER: 15% discount given by calling hotel directly only! Standard Queen/King, Double Queens and One and Two bedroom Suites available! Rate includes hot breakfast buffet, heated indoor pool, fitness facility, laundry facility, WIFI and pet friendly. -Military, Border Patrol, and Law and Fire Personnel. -Please call to confirm discount availability and ask travel agent for discount. OFFER: 10% discount. Restrictions may apply. -Please call to confirm availability. OFFER: 15% discount. Restrictions may apply. Please call for details and availability. OFFER: 20% discount Sunday thru Thursday, 10% Friday & Saturday. Telephone reservations ONLY. Based on availability. -Please call to confirm lodging availability. -Restrictions may apply. Please call to confirm availability. OFFER: 15% discount, two night minimum excluding major holidays (Thanksgiving, Christmas, New Years, Spring Break). -ACTIVE military ID required upon arrival. -Please call to confirm discount availability; advanced registration is required. OFFER: 15% discount excluding major holidays and major events. Please call for more information. OFFER: 20% off Regular rate Sunday through Thursday year-round! 10% off on weekends too! Special Event and Holiday pricing may apply. Choose from our lodge rooms that can accommodate 2-10 persons. Enjoy our indoor heated pool, skylight view hot tub, BBQ grills, full kitchens, fireplaces and great Midtown location! -Active military ID required. -Based on availability. -Please call to confirm discount availability. -Advance reservation is required.